If you can't bear another cold and snowy winter, consider heading south for your retirement years. If you can’t bear another cold and snowy winter, consider heading south for your retirement years. These retirement spots have mild winter temperatures, as well as many amenities retirees need, according to a U.S. News analysis of 100 metropolitan areas that included data about housing affordability, happiness, desirability, retiree taxes, the job market and access to quality health care. 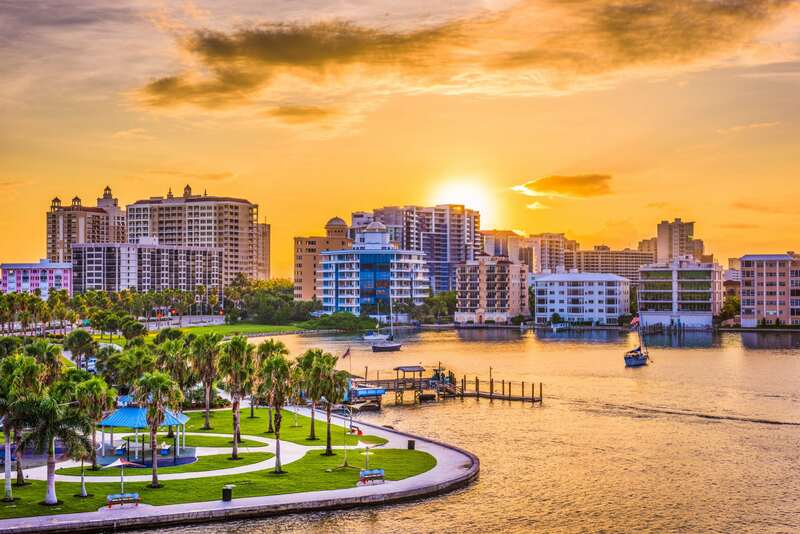 These are the southern U.S. cities that scored the highest on the U.S. News Best Places to Retire 2019 ranking. Consider spending the winter or the entire year in these southern cities. The picturesque sandy beaches bring many retirees to the Sarasota area. This Gulf Coast Florida city has warm and dry winters. The average temperature ranges from 52 to 71 degrees in January and seldom drops below freezing, but the area heats up and has high humidity in the summer. The median home price is $239,100 among people age 60 and older, according to Census Bureau data. There’s no state income tax in Florida, so retirees who continue to work get to keep more of their paychecks.